How do Debt Collection agencies work ? 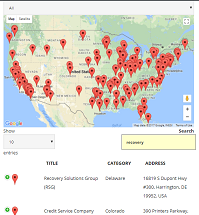 Collection agencies attempt to recover past due debt from individuals and businesses. Their role in the financial ecosystem is extremely important. Without them a very high percentage of the outstanding debts will never get paid off, leading to heavy losses for the businesses and individuals. 1. Agencies which act as a middlemen between the creditor and debtor. 2. Agencies which buy debt by paying pennies on the dollar. a) Collection letters (Fixed Fees) – A collection agency sends 4-6 collection letters to a debtor and typically charges between $10 to $25 upfront per account for this service. They normally do a skip-trace on these accounts (to ensure the letters are mailed on the latest address of the debtor or if they are legally prohibited from collecting a debt. For example cases like debtor bankruptcy or if the debtor has deceased. Collection letters are sent every 10 days or so. All amounts paid by the debtor goes directly to the creditor, collection agency keeps nothing from this amount. Creditor must report all payments made to the collection agency so that the collection activity can print the lower outstanding amount on future collection letters or completely stop sending letters in case the amount has been paid in full. This service is usually recomended for debts which are within 60-120 days past due date and are not very hard to collect. b) Collection Calls (Percent based) – This is where an actual human being (debt collector) picks up the phone and starts making phone calls to the debtor. This contingency collections service is usually recommended for debts older than 90 days or if they are hard to collect. A collection agency would usually not accept an account for collections if the debt is older that 18 or 24 months. They also specify the minimum amount of debt that can be assigned for this service, usually $100 to $200 is the cutoff limit. Whatever amount is collected, the collection agency keeps 33% to 50% cut and passes the remaining money to the creditor. c) Attorney/Legal collections (Percent based) – This is where a debt collection agency’s attorney sends legal notices to the debtor. The attorney may even try to collect amount against the assets of a debtor. This could be debtor’s bank accounts, brokerage account, garnishing wages and even against certain types of real estate that the debtor may own. Collection agency usually takes a cut of around 50% for these kind of cases. These accounts should also be high value debts to justify attorney costs to the collection agency. Collection fee can sometimes be negotiated with the collection agency in case of commercial/business debt, if the total amount past due is higher than $2,000 per account. This can be even as low as 20% at times if the collection amount is much higher, say above $50,000. This discount completely depends on agency to agency and the amount of effort they plan to put in. In case of individual/consumer debt, there is usually no room for negotiation. The reason is that individual debt is harder to collect and is subjected to more stringent FDCPA rules than the commercial debt. Some collection agencies purchase bad debt and pay a small money to the creditor for it, even before the collection activity starts. For example, if the outstanding amount is $1000, a collection agency may pay $50 for it. These accounts generally have no or little collection activity done on them in the past. All amount collected now belongs 100% to the collection agency itself. Depend on the probability of debt recovery, a collection agency may pay slightly more or less to buy these accounts. Collection activity is not always done by a collection agency, many lawyers are in this industry as well. In this case a debtor will receive a legal notice or a phone call from a Law office of that attorney directly. If there is a co-signer on the debt, the collection activity can be made on the co-signer as well if recovery efforts on the primary debtor have failed. There are “Consumer protection laws” and the “Fair Debt Collection Practices” that all debt collection agencies and lawyers are suppose to follow. A fair debt collection agency should be respectful, law abiding and truthful. They should not discriminate people based upon gender, race, age etc. They should not contact you in odd hours, like late evenings to early mornings. They cannot try to threat you by passing statements like “If you do not pay, the police will arrest you“. If the collection agency determines that the debtor cannot pay the debt in full, they can settle an account for a slightly lesser payment if the creditor allows to do so. A debt collection agency may also allow the debt to be paid in monthly installments. There are also some statute of limitations when a collection agency is not allowed to collect a debt. For example many states U.S.A. have a rule that a debt older than 10 years cannot be collected upon. 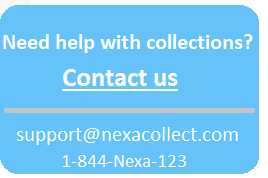 Non-payment of debt can be reported to credit bureaus ( Transunion, Experian and Equifax) by the collection agency. This type of record on debtor’s credit history report can be quite damaging, because chances of getting new loan goes down for the years to come. Due to the nature of their business, debt collection companies have a bad reputation. FTC gets highest number of complaints from this industry. But see the flip side, there are thousands of collection agencies in USA, giving employment to hundreds of thousands of individuals. They also help many other businesses to avoid going out of business due to unpaid bills, saving those jobs as well. Creditor: A person (or business) who gave loan to a debtor or provided service or sold a product but has not been paid in full for it. Debtor: A person (or business) who has not paid the amount past due to the creditor.